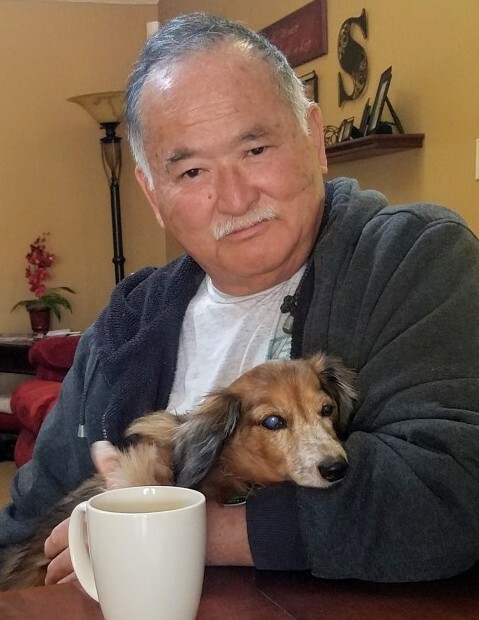 Noble Nobuo Sonoda, 65, passed away peacefully on Wednesday January 16, 2019 at his home in Winterville, GA surrounded by family after a lengthy battle with cancer. Noble was born October 24, 1953 in Kona, Hawaii to Noble Sonoda & Evelyn Kimiko Morimoto Allan. He married Stephanie Edwards February 27, 1997 in Marietta, GA. He was a commercial electrician for 37 years. Noble leaves behind his loving wife of 21 years Stephanie, their son Mori Noble Edward Sonoda, and their daughter LaciRae Kuliaikaui Sonoda. In addition, Noble is survived by his parents: Noble (Joann) Sonoda and Evelyn Kimiko Morimoto Allan, his daughter Stephanie Nobuko Sonoda, 5 sisters: Vee Sonoda, Diane (Pat) Crowell, Verna (Steve Cserep) Elmer, Leilani (Rich) Adams, and Maile (Kevin) Durst, half brother Kaleo (Brenda) Sonoda, 3 step siblings: Tom (Nancy) Skeen, Mark Skeen, and Tammy (Mike) Cassidy, and many good friends, too numerous to mention. Noble’s family will receive visitors Friday February 8, 2019 from 6-8 pm, and services will be Saturday February 9, 2019 at 11 am, both held at Oconee Chapel & Memorial Park 2370 Hog Mountain Rd (Hwy 53) Watkinsville, GA 30677. In lieu of flowers, you may consider a small donation to ease the burden of funeral expenses & help his family lay him to rest in Hawaii.